So far in this series of articles we’ve explored how vinyl records work, the components of a turntable, phono stages and the availability of all-in-one turntable models and why they should be avoided. Let’s now take a look at some of the current models on the market. Many of the budget offerings, such as Sony’s PS-LX300, Marantz’s TT-5005, Pioneer’s PL-990 and the Audio-Technica AT-LP60 are based on an OEM turntable designed by Chinese outfit Hanpin. Hanpin produce a range of OEM (original equipment manufacture) turntables according to the requirements of a brand who’s branding is then applied to the product. While cheaply manufactured these turntables are built to a very reasonable standard given the price and offer plenty of convenience features including automatic operation, internal phono stages and often USB connectivity. Such a turntable will set you back less than £150. These turntables typically include an Audio-Technica AT3600 cartridge and do not feature a universal cartridge mount, meaning that the cartridge cannot be replaced. The AT3600 with its stock conical stylus tracks at 3.5 grams, which is a little on the heavy side. It’s OK if you only play your records occasionally, though adding an LPGear elliptical stylus, manufactured for LP Gear by Audio-Technica themselves will lower the tracking force to a more acceptable 2.5 grams. Its elliptical tip will be far kinder to your records, and will offer better sound too. Pro-Ject’s £159 Elemental is another option in the sub £200 price bracket. The Elemental is the most basic model in Pro-Ject’s range, and features an unusual design based around a central point of mass made from artificial stone. Its plinth is a single piece of MDF with the tonearm mounted to one end, the motor and electronics to the other and the platter bearing in its centre. It features an 8.6” aluminium tonearm and an Ortofon cartridge tracking at a very respectable 1.75 grams. It design focuses on the high quality parts necessary for proper playback of a record, hence the omition of a dust cover and full-size plinth. While the Elemental is a serious contender at the price in sound quality terms, it’s a delicate machine with the fragile cartridge and stylus totally exposed and hanging in free air when the arm is in its home position. Moving upmarket a little introduces several options, beginning with entry level offerings from brands such as Rega and Pro-Ject as well as more advanced models from Audio-Technica and Reloop, the latter being known for their DJ offerings but having recently introduced the £350 Turn 3 aimed at the hi-fi market. The Turn 3 features a low resonance MDF plinth with an attractive gloss finish, a built-in phono stage with USB connectivity, semi-automatic operation and an included Ortofon 2M Red moving magnet cartridge. Models from Pro-Ject are similarly equipped, including the £399 Debut Carbon which is similarly specified aside from the Carbon Fibre tonearm from which its name stems. Other turntables are sparse designs, sacrificing superfluous features in the pursuit of higher quality components to achieve better sound quality. 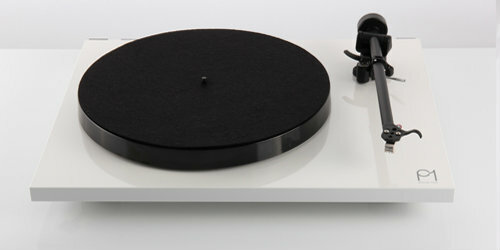 Rega are known for their simple designs, featuring a bearing, tonearm and motor mounted to an extremely low mass plinth. 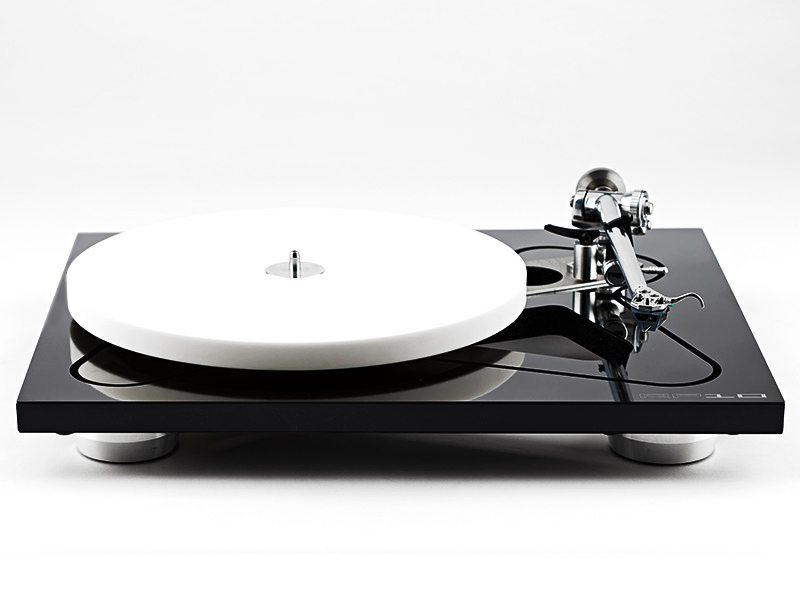 The £248 2016 P1 features a high quality platter bearing, glass platter and tonearm and is supplied with a Rega Carbon cartridge. Pro-Ject’s £239 Essential 3 is similarly equipped with a superior Ortofon OM10 cartridge and an 8.6” aluminium tonearm. Neither turntable includes a phono stage nor USB connectivity, and the speed is controlled by moving a belt between the 2 diameters of the motor pulley. If you’d prefer a direct drive, the £250 Audio-Technica AT-LP120 is another from the Hanpin stable and features a high torque direct drive motor, an S-Shaped tonearm and an internal phono stage complete with USB connectivity. The renowned AT95 cartridge completes the package, featuring an elliptical stylus and tracking at a gentle 2 grams. The similarly specced £349 AT-LP5 adds a J-shaped tonearm designed by Audio-Technica for better tracking and extensive damping of both the platter and turntable chassis to minimise resonance. Continuing up the price ladder, Rega’s current 2016 £625 Planar 3 comes bundled with the £120 Elys2 cartridge, the latter fitted with an elliptical stylus tracking at a gentle 1.75 grams, and featuring Rega’s 3 hole mounting system, making cartridge alignment a snap. While in my opinion it’s possible to get a much better cartridge for the money (the Audio-Technica AT440MLB for example), the Rega package offers simple, fuss-free setup and a pleasing sound. 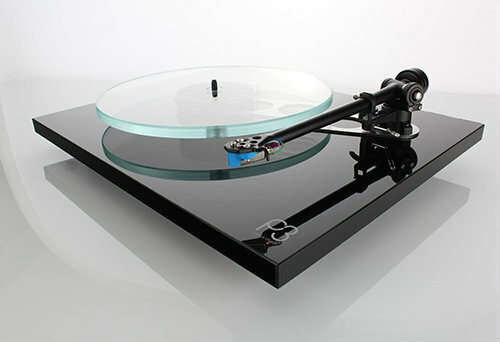 £550 gets you the turntable minus the cartridge should you wish to add your own. Similar money will get you a Pro-Ject 1 Xpression Carbon fitted with a single-piece carbon fibre arm and an Ortofon 2M Silver cartridge, which is essentially a 2M red but with internal coils wound with silver wire. If you’d prefer something with automatic operation, the £630 Thorens TD 240-2 gives you a fully automatic tonearm with a pre-mounted AT95E cartridge, support for 33.3, 45 and 78 RPM speeds (the latter speed requiring a suitable cartridge or stylus replacement) and a timeless real wood aesthetic. The examples above show a range of turntables at various price points, though the list is by no means comprehensive nor does it represent every product on the market. What it does show however is that at lower price points a turntable is typically supplied as a package including the turntable itself, the tonearm and the cartridge. In essence, everything required to play a record aside from the amplifier, speakers and possibly the phono stage. Move past the £1000 price bracket however, and the landscape changes. Here is where you’ll find the turntables designed to be tweaked, customised and configured to suit the needs of an individual user. Here is where it’s not uncommon for a turntable to be provided without a tonearm or cartridge, both of those being chosen according to the user’s requirements. While this may seem a little backwards with these models appearing to offer less value for money than their lower end counterparts, it’s actually extremely logical. A turntable sold without a tonearm or cartridge allows the manufacturer to focus their attention and their materials budget on building the best possible turntable they can for the price, offering a better foundation on which a chosen tonearm and cartridge can then perform at their best. Of course their are exceptions to the rule. Rega manufacture a range of cartridges designed to mate perfectly with their turntables, and all are available at discounted package prices. The current RP6, supplied at £898 with the RB303 tonearm can be purchased fitted with the £255 Exact cartridge for a package price of £1098. 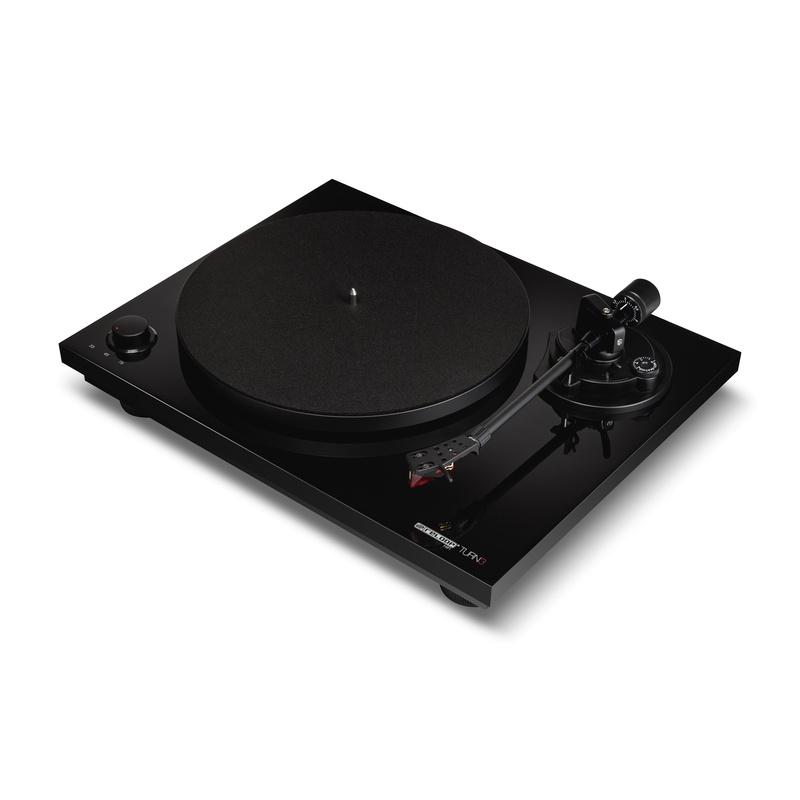 Rega’s RP8 turntable, supplied at £1598 with the RB808 tonearm, can be fitted with the Exact cartridge for £1798 or the £998 Apheta2 moving coil cartridge for £2298, a saving of £298. Step up to their current flagship, the £2998 RP10 with the RB2000 tonearm, and you can choose a £998 Apheta2 cartridge or the flagship £2298 Aphelion cartridge for £3698 or £5498, saving £298 or £498 respectively. ClearAudio’s concept and performance DC turntables are also available in package form, including the £995 Concept MM with a moving magnet cartridge, or the £1575 Concept MC package with the vastly superior Concept MC cartridge. Or step up to their performance DC model, with which you’ll get the turntable, tonearm and a moving magnet cartridge for just shy of £2500. To cover every combination of turntable, tonearm and cartridge available on the market today would cover hundreds if not thousands of pages and due to the ever-changing technological landscape would serve little purpose. We’ll focus on the above packages here, as those starting out in the vinyl hobby will likely purchase a package to start with, upgrading components at a later date if desired. When the time comes that these packages are outdated, similar alternatives will exist, the basic components remaining unchanged. While their features, designs and prices may wildly differ, one thing that all hi-fi turntables have in common is their dependence on ancillary components. A hi-fi turntable will at the very lease require an amplifier and speakers and possibly an external phono stage too if you didn’t opt for one of the models with a phono stage onboard. While it’s certainly possible to spend an astronomical amount of money on an amplifier and speakers, it’s certainly not a necessity to do so and if you’re building your first system an amplifier and speakers need not eat too much into your budget, which is best spent on a high quality turntable. Compact, space-saving designs such as the beautiful £299 Ruark MR1 and the £199 Acoustic Energy Aego 3 will take up little space in your home and also feature Bluetooth connectivity to listen to music via a smartphone. You need not spend that much however. A reasonable pair of computer speakers will happily accept the output of a turntable via a phono stage, and these can be had for less than £100. If you’re sold on owning a full-size hi-fi, there are a huge number of products on the market. The £79.99 Cambridge Audio AM1 is A great place to start, offering 20 watts per channel and an extremely simple design featuring 4 line level inputs and a volume control. Pair it with a pair of Wharfedale Diamond 9.0s and an Audio-Technica AT-LP120, and you have an excellent vinyl replay system for around £400. As you move upmarket, you’ll find that amplifiers such as the Marantz PM-6006 and Yamaha’s A-S501 offer you tone controls, a headphone output and even an internal phono stage, all of which are welcome additions. Some purists believe in a less is more approach, and many higher end designs dispense with these features reverting back to a simple design not unlike that of the Cambridge above, though featuring higher quality components available at the higher price point. Rega’s latest Brio amplifier is a particularly good example of a bear-bones amp, though its latest 2016 iteration does feature a headphone socket. It’s important to note however that less doesn’t always mean better. There are plenty of amplifiers with what many would consider superfluous features which outshine the competition. Ultimately it comes down to the technical design of each individual component, and one shouldn’t judge components based on their feature counts. This article is part of our Guide to Turntables and Vinyl series. Continue reading: Part 6, How To Set up a Turntable. I’m thinking of buying my first turntable but having a low budget limits a lot of my options. I also live in New Zealand which doesnt have a huge range of turntables in my price range. I’ve come across 3 turntable brands that i’m looking at and would love your opinion on which would be better value for money and also better sound quality. I’m currently looking at the brands Crosley Coupe, Flea Market Retro Turntable, and mBeat retro Briefcase. None of them. Besides the name and styling, they’re all pretty much the same. See Here. Look for something on the used market. Higher up the price ladder ; turntables are always fully manual. Are their any sonic disadvantages for a automatic or semi-automatic turntable versus a manual one ? I have heard there are differences in the coupling of the platter to the plinth etcetera but it’s not very clear to me. It really depends on the design and implementation. Most automatic turntables require some kind of mechanism to be physically attached to the arm to enable the arm to automatically pivot. Some such devices can place a load on the arm bearing which causes an increase in both mechanical noise and friction, both of which are undesirable in a tonearm. Some systems such as the later designs from Technics used a contactless mechanism, whereby the mechanics of the automatic mechanism were completely disengaged from the arm during playback thereby resulting in comparable performance to a manual tonearm. Examples are the SL-QD33 or the higher end SL-1600 MK2, which used an arm very similar to that of the SL-1200. Most modern automatic decks use a mechanism that could compromise the sonic integrity of the arm, but in reality those decks are built to a cost and have other issues that far outweigh the disadvantages of an automatic mechanism. Whether the sonics are compromised is difficult to say as it is unlikely you’ll find two decks to compare that are otherwise fully comparable, but in theory – yes.